Re: Photo of the Month - May 2014 - Final vote! Trying to be cool calm and collected isn't working, as I was sure that both of the other two great shots would win. Well, if you combine our photos against yours, we tied! If I would not have had to vote for my own, #3, I would have voted for yours. REALLY nice sunset! Congratulations! So tell us what your settings were. Congratulations! Well shot Bish and the other runner ups! He will now need to select a Theme for July. June's Theme, also chosen by Bish, is 'UP CLOSE AND PERSONAL'. Go out and get those shots, people! Well done Bish! Interesting shot, what is it? My trusty 18-55 IS at 50mm, f/5.6, 1/250, ISO 100, handheld. Straightened, cropped, and a slight play with levels to bring the orange out more. I have borrowed a picture from google to show something similar, but this is what I shot. 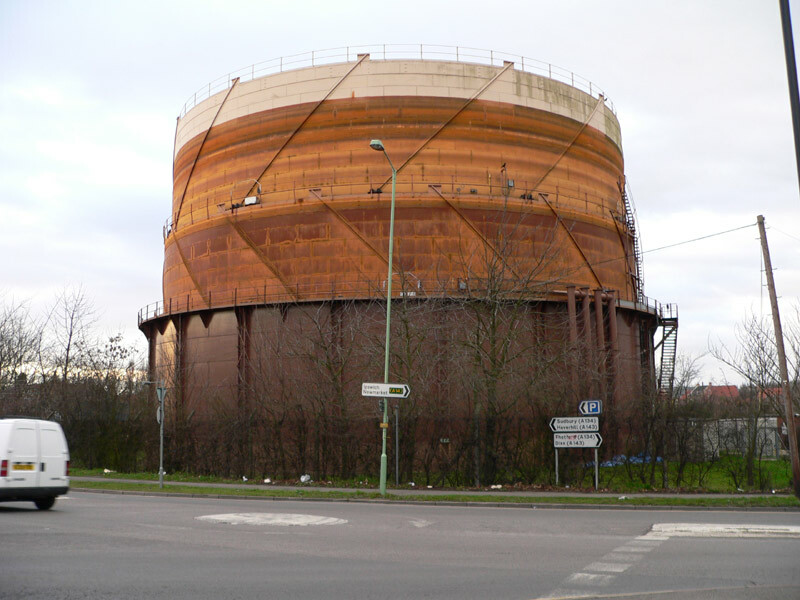 It is a telescopis gas holder, google will be your friend here. As it moves up and down the ladders and stairs to upper levels remain, and that is what I picked out. Aha! You're shot is MUCH better than google's, by the way.